Located on the site now surrounding and including Myrtle Beach Market Common and Myrtle Beach International Airport, Myrtle Beach Army Air Field and Air Force Base was an important military base for half a century. In the late 1930s it was constructed by the Works Progress Administration as a grass-field, municipal airport. In 1940, in a joint agreement with the U.S. War Department and the City of Myrtle Beach, it was expanded into a 97,000-acre U.S. Army Air Corps training post - the Myrtle Beach General Bombing and Gunnery Range. During World War II, it was renamed Myrtle Beach Army Air Field, and was the temporary home to bomber and fighter aircraft and crews - most bound for the war's European Theater. Posted here during the war were the 323rd and 391st Bombardment Groups, the 404th Fighter-Bomber Group, the 304th Fighter Squadron and the 40th Aviation Squadron. Some base aircraft patrolled the Atlantic offshore the U.S. Eastern coastline, searching for German submarines, and a prisoner-of-war camp housing some 600 German POWs was established at the base. The famed "Doolittle Raiders" who conducted the carrier-based attack on Tokyo in 1942 were briefly deployed here for training prior to their renowned raid. Farrow Street here is named for a one of the raiders, Lieutenant William G. ("Billy") Farrow of Darlington, South Carolina, who was captured and executed by the Japanese. 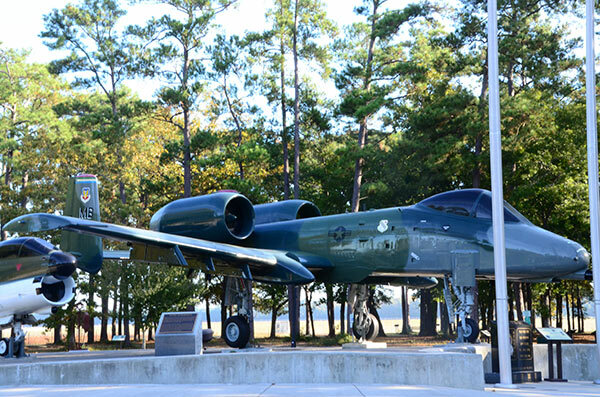 In 1948, following World War II, the base was deactivated and restored as the Myrtle Beach City Airport, but the rising tensions of the Cold War led to its reestablishment as Myrtle Beach Air Force Base in 1954. For almost 40 years, Myrtle Beach Air Force Base remained an active base in the U.S. Air Force's Tactical Air Command. Among the aircraft based here were the F-100 Super Sabre fighter aircraft, the Lockheed T-33 Shooting Star, the A-7 Corsair, the Convair T-29 Seastar and the A-10 Thunderbolt "Warthog" attack aircraft. More than 3,500 Air Force and civilian personnel staffed the base, and its aircraft and crews were active in the Vietnam War, the Persian Gulf War and numerous Cold War deployments. At the end of the Cold War, the U.S. military was downsized and in 1993, Myrtle Beach Air Force Base was finally closed and transferred to civilian control. The base property was ceded to civilian control and redeveloped in a variety of ways, including construction of Myrtle Beach Market Common and Myrtle Beach International Airport. 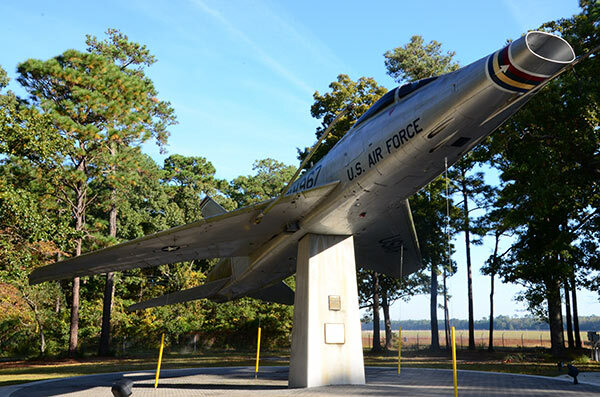 Today, numerous structures and facilities from Myrtle Beach Air Force Base still exist on the site, but the most important and visible historical monument is Warrior Park, which is located near the former main entrance to the base, off U.S. Business 17, south of Myrtle Beach. 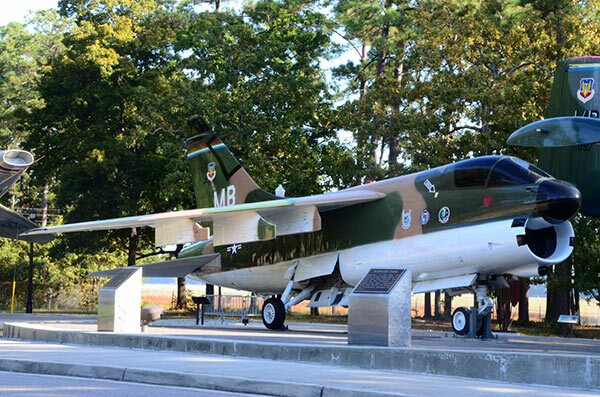 Here, visitors may examine historic aircraft such as the F-100, the A-7 Corsair and the A-10 Thunderbolt "Warthog". 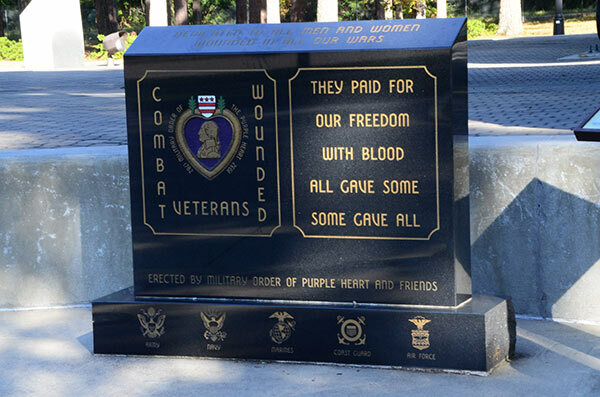 A Wall of Service commemorates and lists the names of personnel stationed at base for almost half a century and the Warrior Park Walking Trail contains numerous historic markers related to the historic base.